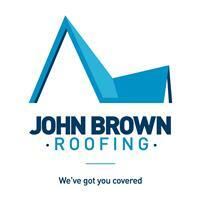 John Brown Roofing - Fascia/Soffits/Guttering, Roofer, Windows/Doors/Conservatories based in Fleet, Hampshire. slating, tiling, and lead work, re-felt and battening to new and old properties. We cover a 20 mile radius including Farnham, Farnborough, Alton, Aldershot to name just a few. We take pride in are work and are always ready to help. Please get in touch today for a free estimate or quotation. We will always give a free estimate or quote pria to being appointed. We are all qualified and have the right insurances to complete the work safely, and to a high standard.